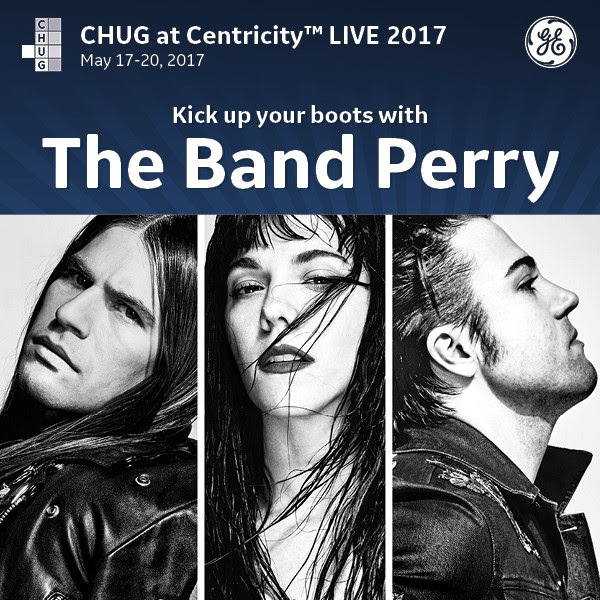 CHUG | Kick up your booths with The Band Perry! Kick up your booths with The Band Perry! Get ready to rock along with the country superstars, The Band Perry! ​Join us as The Band Perry performs their greatest hits LIVE on the stage. It’s a performance you don’t want to miss, so register today. Grammy® Award-winning superstar sibling trio The Band Perry are an unstoppable presence in music. Since releasing their groundbreaking crossover #1 single “If I Die Young” in 2010, The Band Perry, have forged a unique, genre bending identity and built an international fan base leading to: sold-out world tours, five No. 1 Singles on the Billboard Country Chart, a No. 1 single on the Hot AC charts, and six songs reaching gold or platinum status. Recently, The Band Perry announced the release of their highly-anticipated upcoming third album. It will be the trio’s first pop album, titled “My Bad Imagination” due out in Summer 2017.
https://www.centricityusers.com/wp-content/uploads/2017/03/Blog-Header.jpg 300 750 julie_e https://centricityusers.com/wp-content/uploads/2014/06/new_chug_logo.png julie_e2017-04-17 12:55:562017-04-24 14:03:55Kick up your booths with The Band Perry!